Before Precleaner installation, filters were changed 9 times per year based upon observation of filter condition. Annual cost* for parts and labor: $450 per machine. After Precleaner installation, filters were changed twice per year. Annual cost* for parts and labor: $100 per machine. 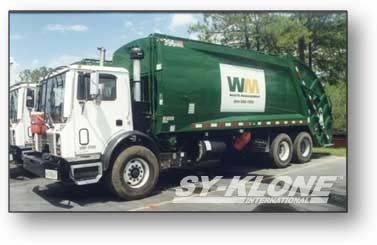 After this study, all trucks were equipped with Sy-Klone Series 9000 precleaners, resulting in enormous savings when calculated for the entire fleet.